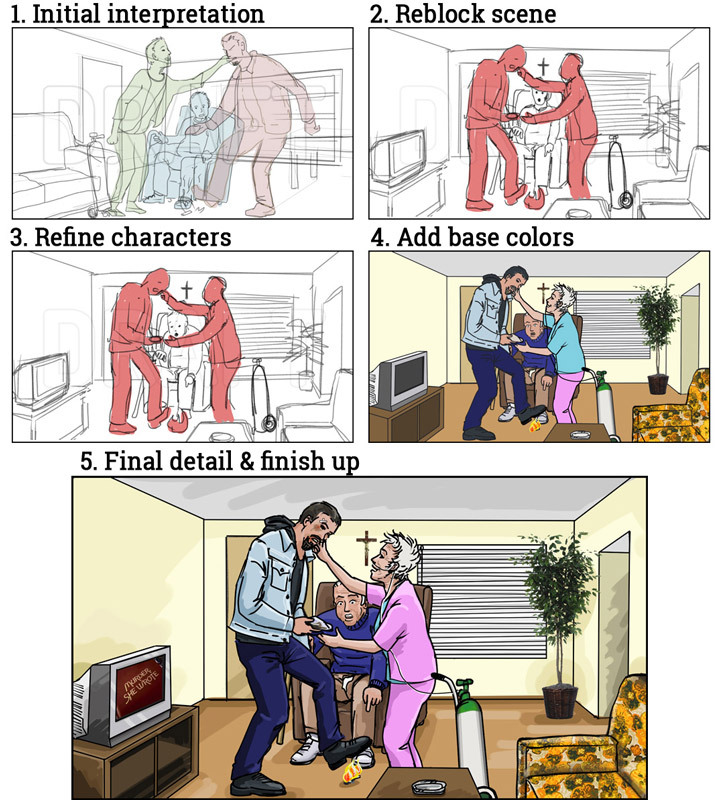 Here’s an expanded version of a 6-foot commissioned wall mural I did recently. 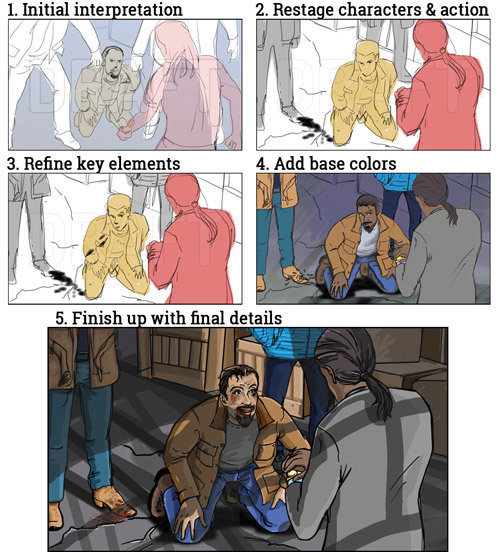 The complete scene is now extended at both ends to create mural suitable for a longer wall such as in a restaurant or a public space. Designed for a size of 53 feet long by 10 feet high, it can be used as is for any space with similar 5.3:1 ratio, or I can customize it to work with any size. Just to have some more fun with it, and for a more immersive experience, I made the short video below to include restaurant noise and the familiar and beloved Saigon street sounds of traffic, mopeds and honking. 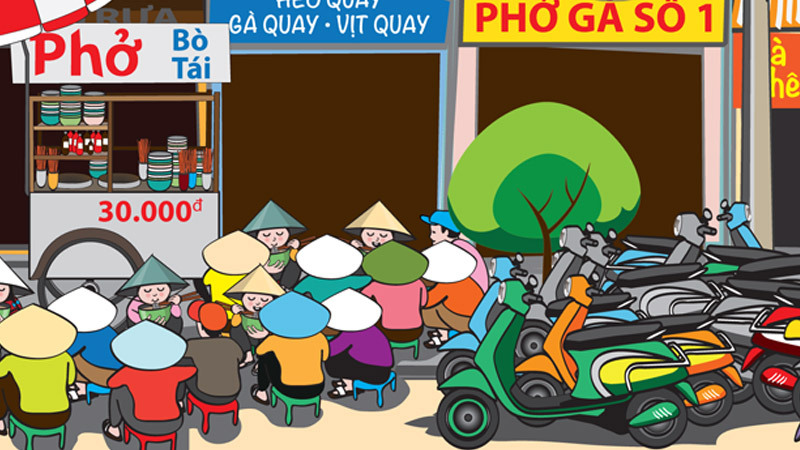 See more in the Saigon Pho Restaurant mural portfolio. 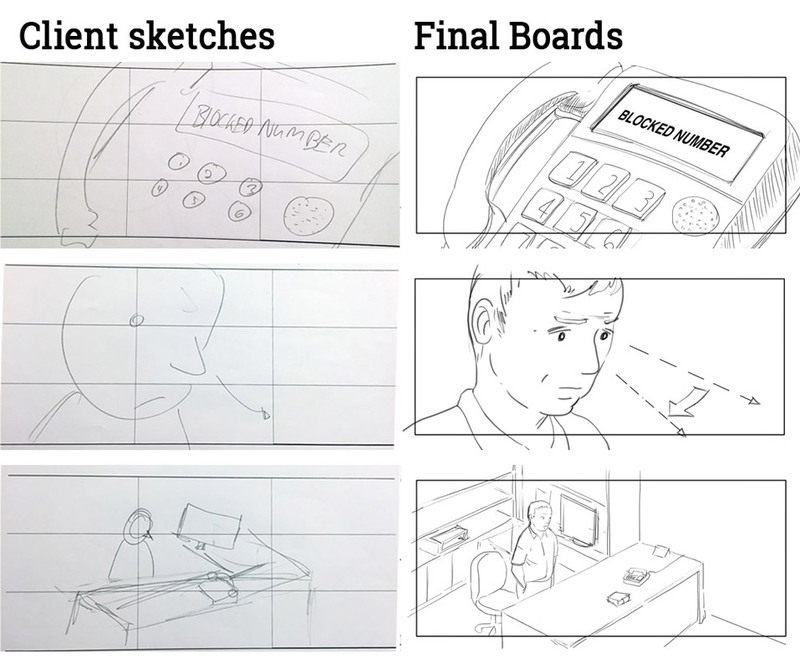 Here’s a quick demonstration of a short scene development for storyboarding. 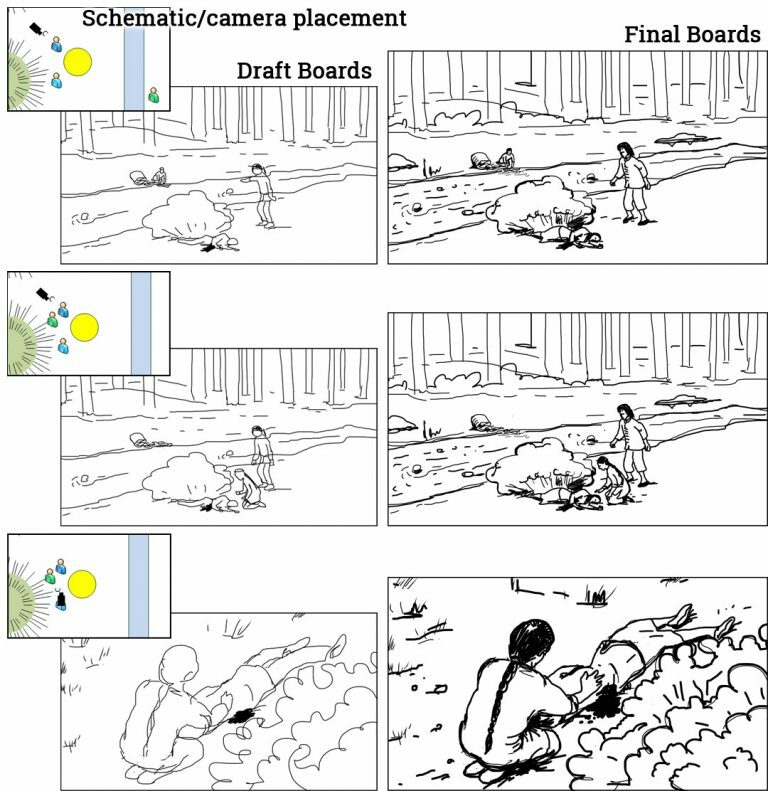 First board: Start on wide shot with Xiang finding Kulya injured in the foreground, behind a bush. 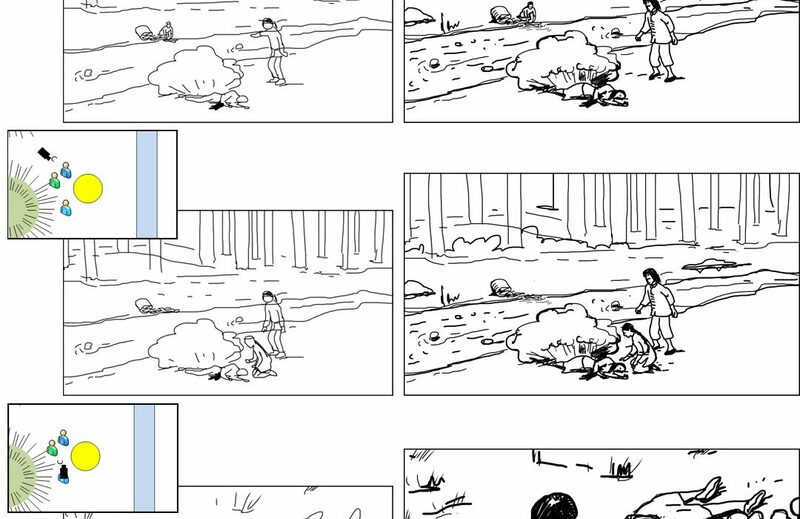 Xiang calls out to Liling washing clothes across the stream. 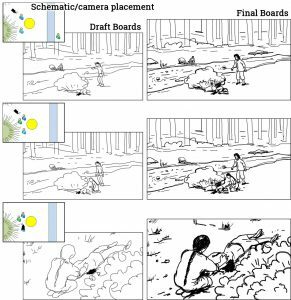 Second board: Maintain shot as Liling crosses the stream and kneels down by Kulya on the ground. Third board: POV of Xiang looking down at Liling tending to Kulya. 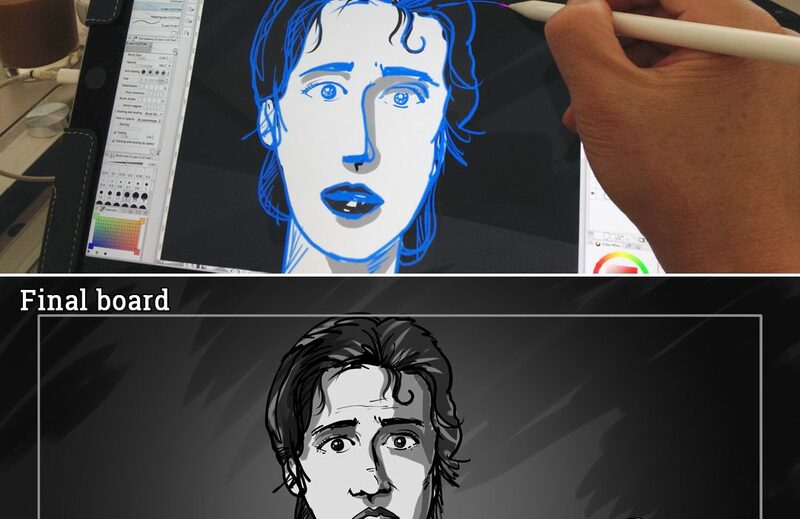 Storyboarding process through story development; collaboration between the writer, director, and storyboard artist; and technical and artistic skills. 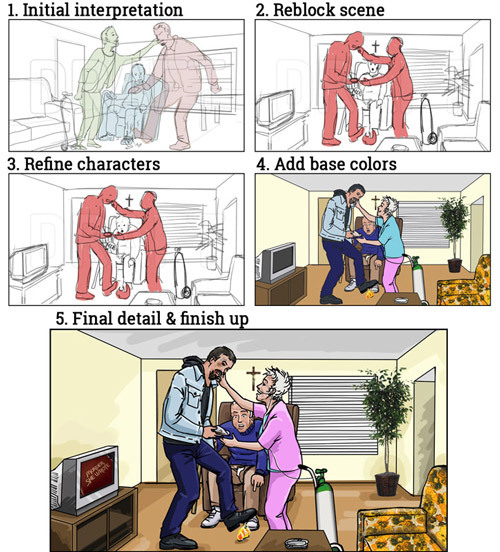 The process varies from project to project, depending on client’s workflow and budget. 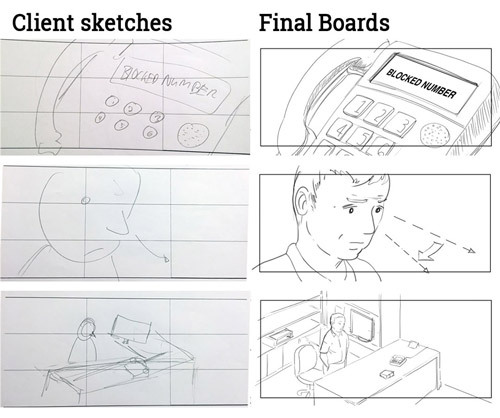 Storyboarding with the rule of thirds and client’s initial sketches versus final storyboards. 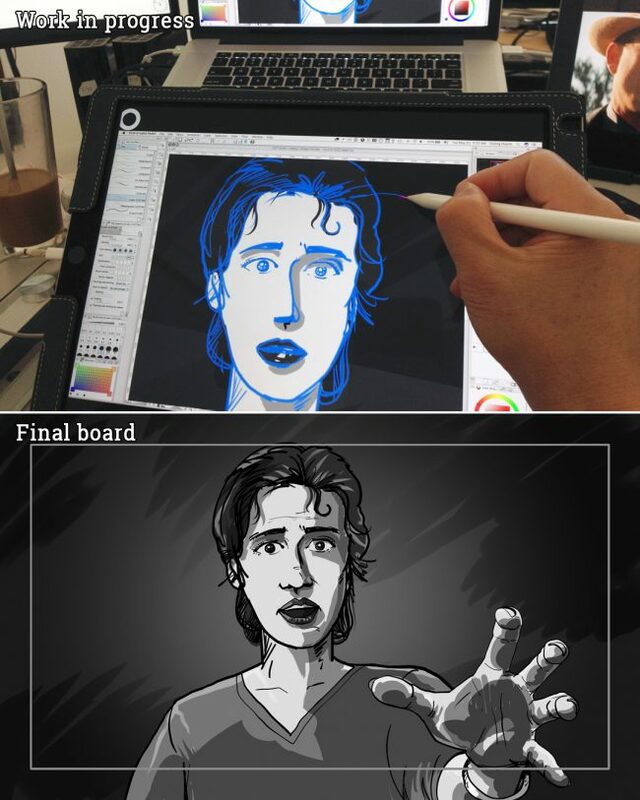 Board composition is designed to meet the rule of thirds. serve as important tool to communicate with the crew. 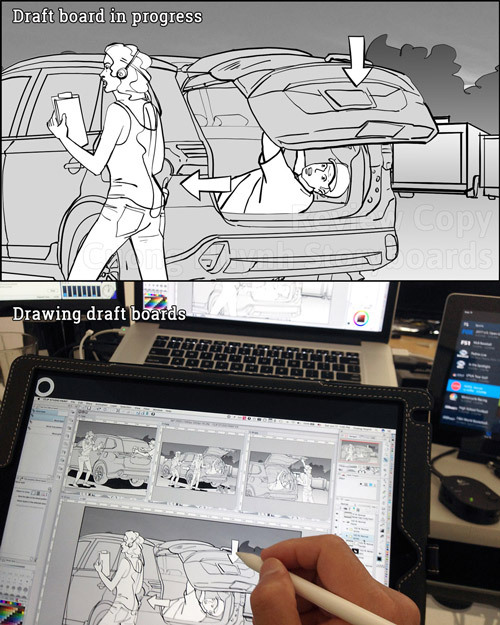 Storyboarding process through story development, collaboration, and technical and artistic skills. 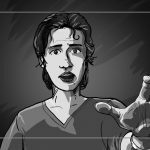 Drawing Hunger Pains storyboards: Sam’s POV, Mama reaches out with her hand. 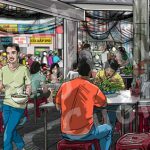 Pho Restaurant Mural – Size: 30 feet x 8 feet or customized to any wall. 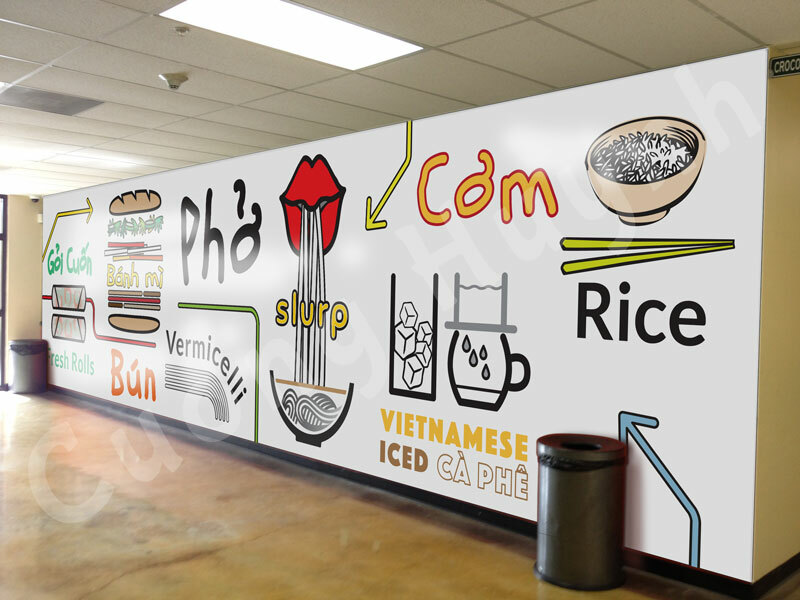 This is a new wall mural design for a pho restaurant in development stage. The goal is to keep it simple, create bold images that are representative of Vietnamese dishes served on the menu. 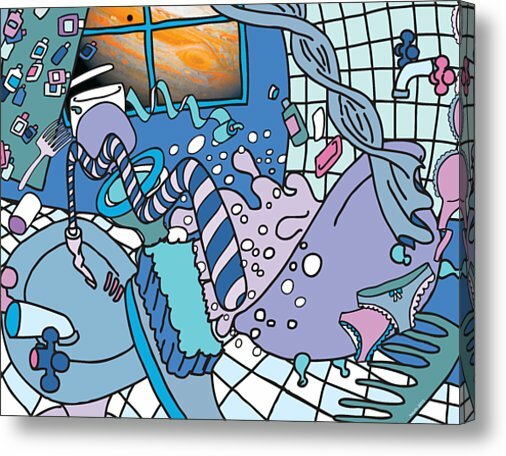 I’m running a special on one of my recent artwork: Jupiter Flyby – View From Bathroom #2 Redux. This piece will be 14″x11″ stretched canvas print with museum quality wrapped-around edges on all 4 sides. It’s beautiful and ready to hang. 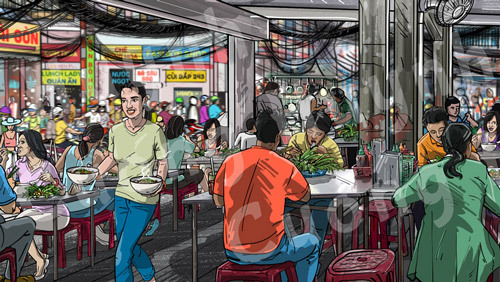 Saigon Street Food Scene Mural – Size: 36 feet x 10 feet or customized to any wall.